Ace Hotel London is situated in the enriching center of Shoreditch, the Capital’s most fascinating cultural region. Known for its emblematic creativity, Shoreditch is a well-known hotbed for trendy art, galleries, theaters and design. Home to the famous Brick Lane Market, Shoreditch is the perfect neighborhood for anyone wanting to explore London’s alternative culture. Complete with free Wi-Fi, a basement bar, restaurant and helpful customer service, Ace Hotel London Shoreditch is the ideal stay for guests looking for a comfortable, yet modern ambiance. 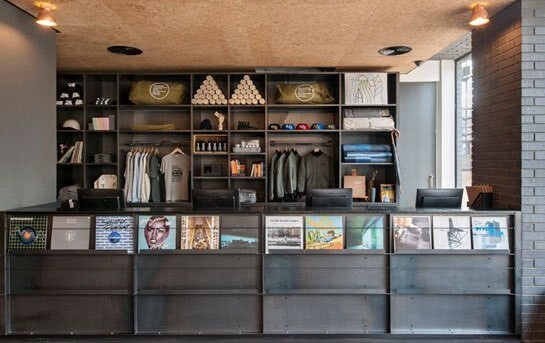 Send an email to Ace Hotel London Shoreditch.